When Carri-Anne Jane moved to Dubai for an internship in the fall of 2017, she had no idea how far she would go to return with some very important extra baggage. In October, right after Jane arrived, she noticed a small cat lurking around the entrance of her apartment building. Assuming the frequent visitor was looking for a meal, she knelt down to feed the cat and got an unexpected response. 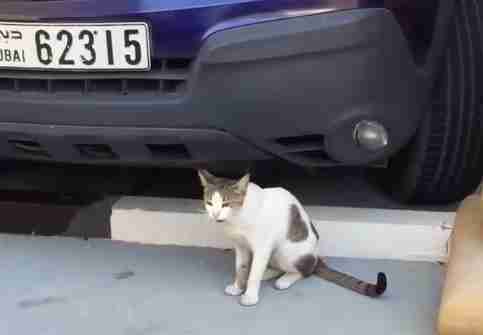 The white cat with brown markings ignored the food — instead demanding human contact. 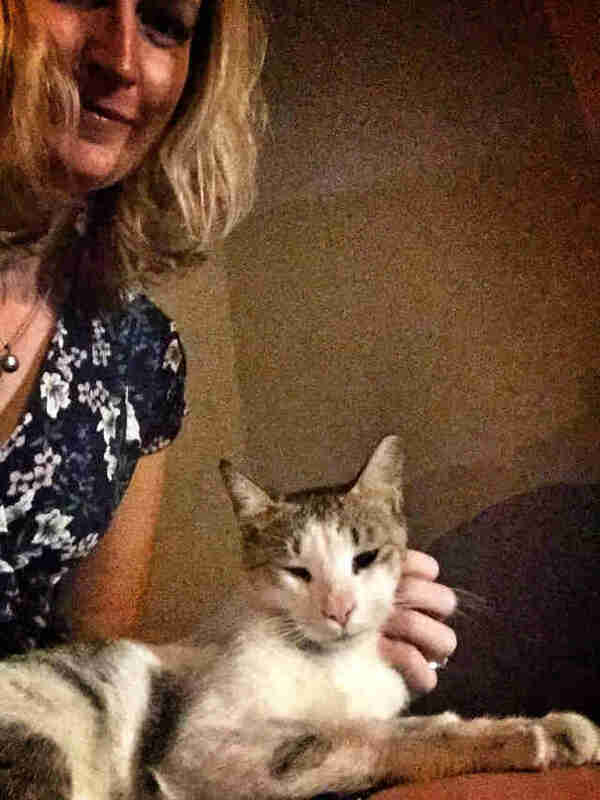 Jane and the cat immediately formed a bond and settled into a new routine — the little cat would run up to greet her with a friendly meow whenever Jane returned from work. Jane started calling the cat Eleven, a reference to the character from the Netflix show “Stranger Things,” but the name never seemed to fit the cat’s affectionate personality. 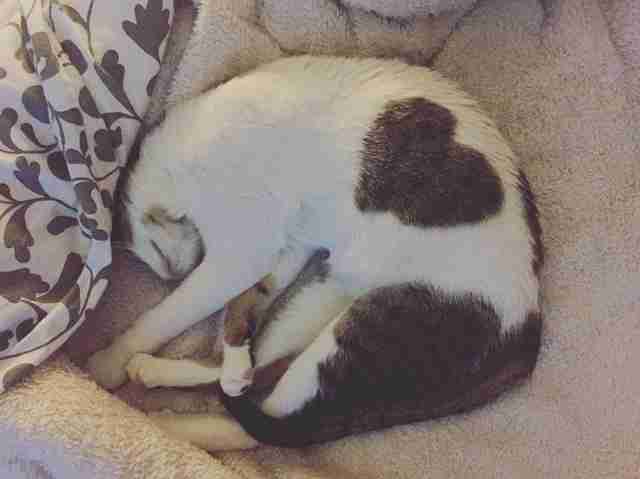 One day, Jane’s roommate pointed out that the little cat had a marking on his side that resembled a heart, and when he curled up to snuggle Jane, the heart became even more pronounced. Jane was shocked that the cat’s outside perfectly echoed his inside — and she quickly changed his name. By December, Jane knew she couldn’t leave Braveheart behind, and took him to the vet to make sure he was healthy enough to bring back to South Africa. While Braveheart was found to be slightly underweight, he was deemed ready to fly. 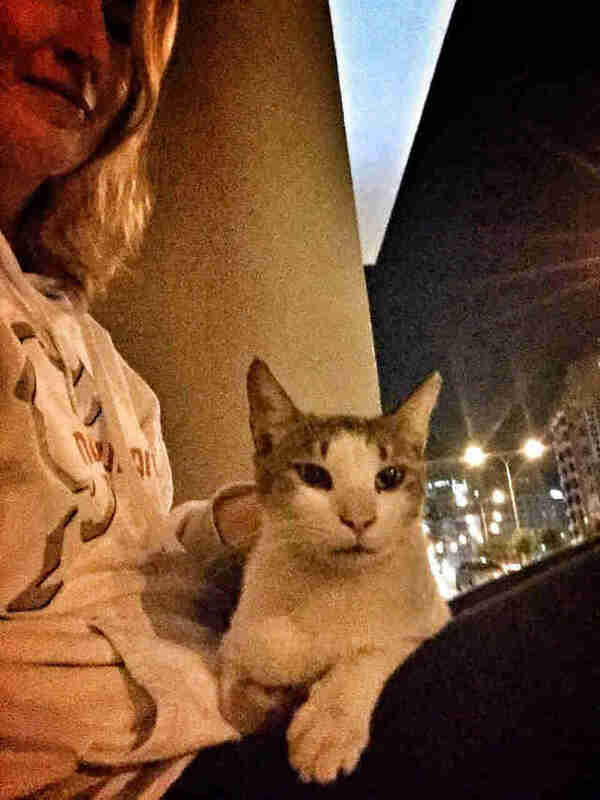 “I realized that I wouldn't be able to leave this soul behind and would spend the rest of my life wondering about that cat on the street in Dubai,” Jane said. 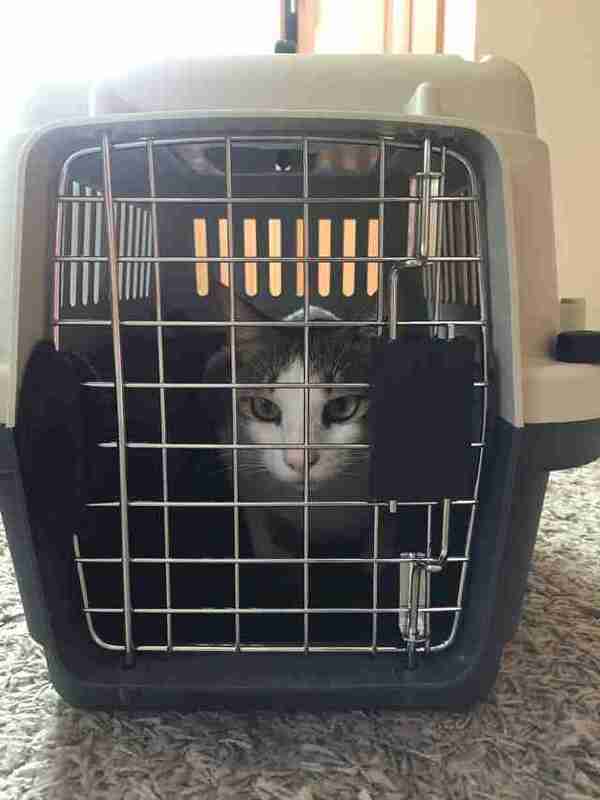 However, transporting the former street cat to her home in Cape Town would be far more difficult than Jane expected. Jane began to research what it would take to export Braveheart from the United Arab Emirates to South Africa without a professional animal transport agency. Though doing the legwork herself would shave down the price of Braveheart’s flight and export costs, Jane still needed to find a way to raise the money for all the fees, so she took to social media — starting an Instagram page and crowdfunding campaign for Braveheart. Midway through January, with the deadline for Braveheart’s vaccinations fast approaching, Jane’s husband, Ray Leathern, sold his mountain bike to help reach their minimum target. “We continued Braveheart’s campaign until February 28, 2018, at which point we had collected just under R 20,000,” Jane said. “He caught his flight home on March 1.” After 16 hours and a lot of hard work, Braveheart was finally home. 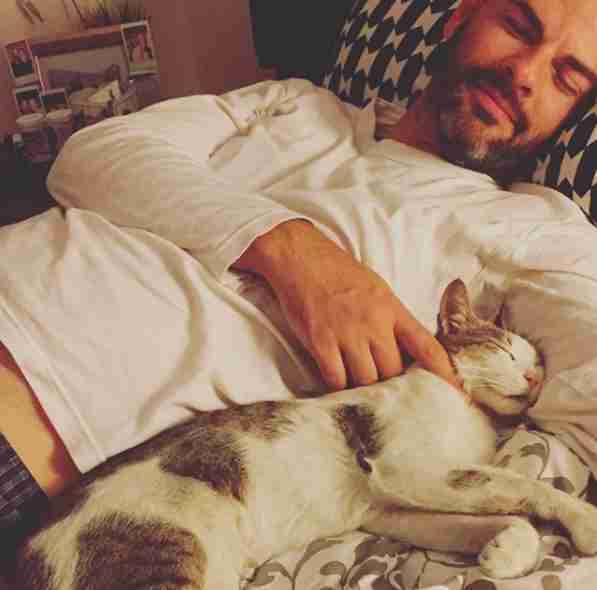 While Braveheart’s parents couldn’t be more excited to have him as a permanent resident, they are taking things slowly when it comes to introducing the cat to his new environment. It has taken a few months for Braveheart to adjust to his new life as a pampered pet and to his cat sibling, Jane explained. 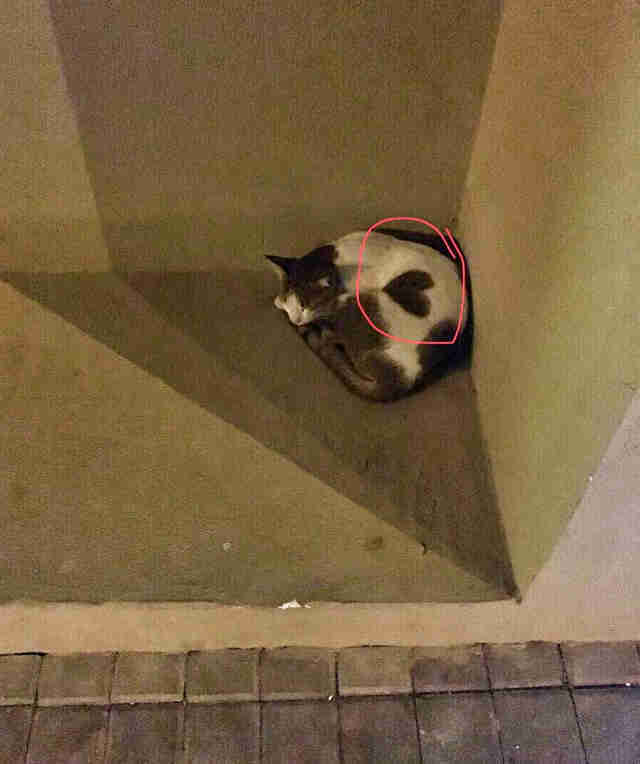 And despite all the changes, the little cat still wears his heart on his sleeve — or, rather, his fur.